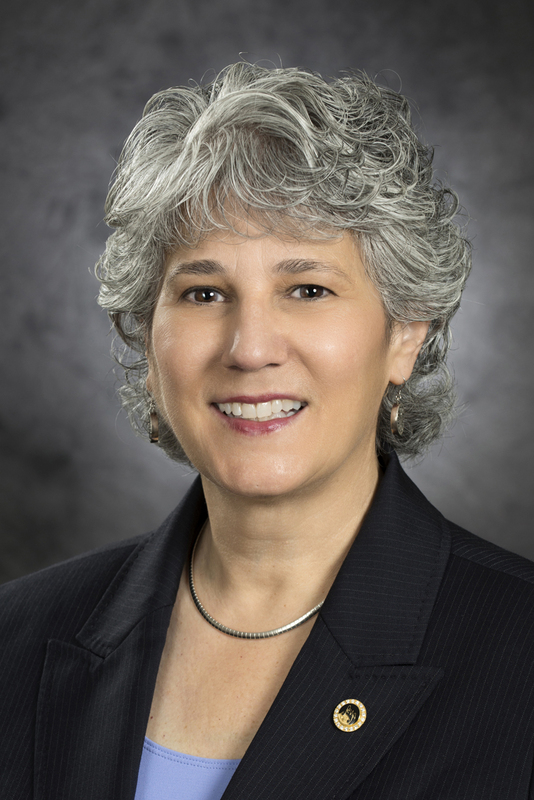 The following statement is attributable to Pamela F. Cipriano, PhD, RN, NEA-BC, FAAN, president of the American Nurses Association (ANA), in response to the U.S. Department of Health and Human Services (HHS) announcement of the formation of a new Conscience and Religious Freedom Division. Primary purposes are to instruct classes/labs and supervise students in the clinical setting. Education: Bachelor’s Degree (BSN) with a willingness to pursue a Master’s degree within the first year of employment is required. Credentials: A valid license to practice as a RN in the State of OK. Acceptable Oklahoma Driver’s License and acceptable driving record. Additional certifications may be required for special program area. Supports Moore Norman’s mission, vision and core values through educating, motivating, inspiring, and supporting students. Please visit www.mntc.edu for complete job description, requirements, & benefits details. 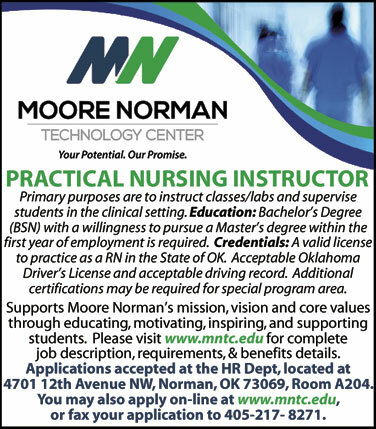 Applications accepted at the HR Dept, located at 4701 12th Avenue NW, Norman, OK 73069, Room A204. You may also apply on-line at www.mntc.edu, or fax your application to 405-217- 8271.